Hand-finished in silver leaf, the Large Bowed Mirror by RV Astley features a striking tapered design with bevelled frame. The antique silver and elegant shape will add a touch of glamour to any interior scheme. 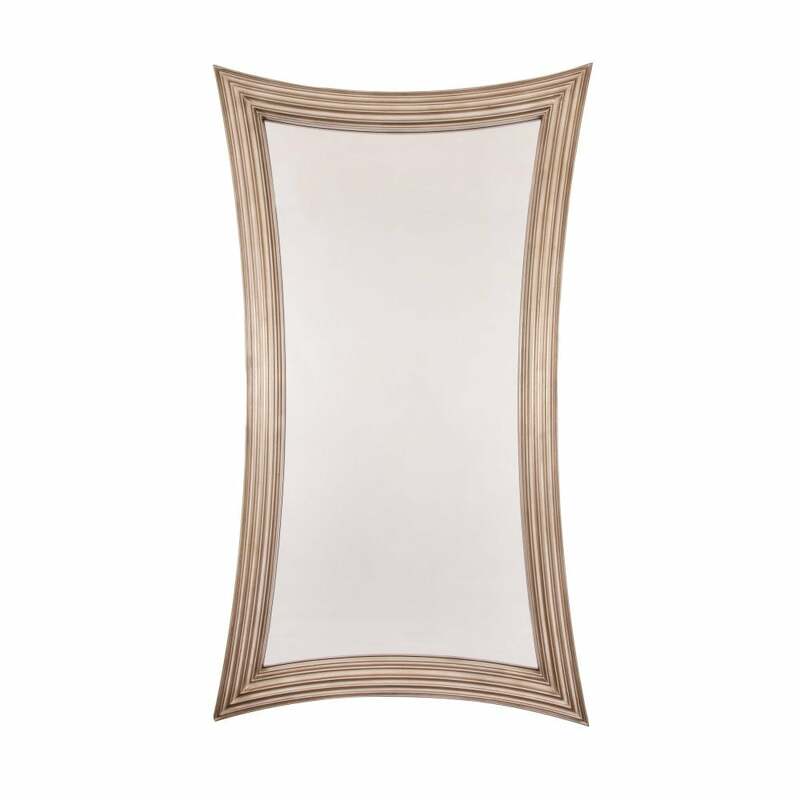 Hang portrait or landscape, this large mirror is the perfect addition to a hallway or bedroom. Versatile and timeless, the RV Astley range suits both traditional or contemporary interior schemes. Create a focal point in a hallway with this floor length mirror or prop up against a wall in a bedroom for a bohemian luxe vibe.